When it comes to road trips, getting there is half the fun. But it's hard to have a good time when you're battling for elbow room with duffle bags, coolers camping supplies. 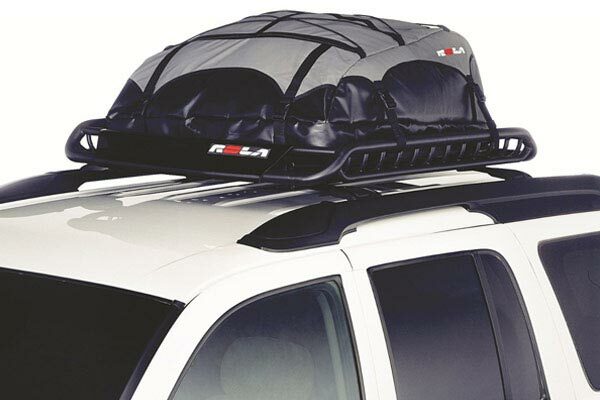 If your family truckster is feeling overstuffed, move your gear up to a ROLA Vortex Roof Mounted Cargo Basket. It keeps your cockpit clutter-free and leaves plenty of legroom for your backseat drivers. 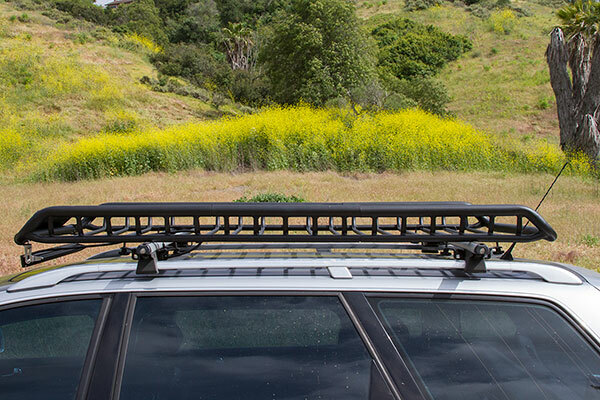 Bulky luggage, smelly fishing tackle, muddy sports equipment—no matter what you're packing along, it's sure to fit in the Vortex ROLA Roof Basket. 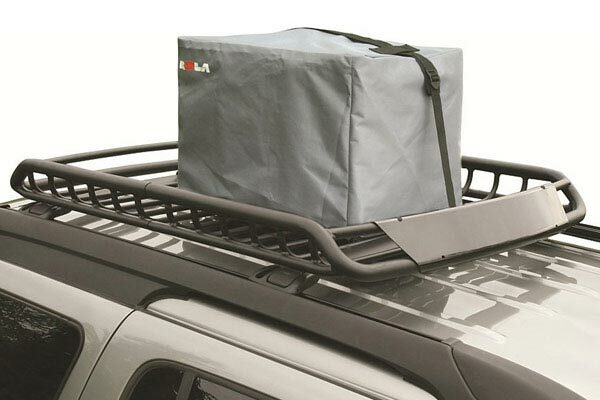 Crafted from steel with an all-weather black powder coating, your ROLA cargo carrier shoulders up to 130 lbs of freight yet weighs a modest 38 lbs. Plus, it comes complete with a custom-sized wind fairing to cut down on noise, improve the aerodynamics and complement its swept-back shape. No matter what kind of crossbars are riding atop your vehicle, the ROLA Vortex Roof Basket features universal mounting hardware that fits round, square and most factory bars. The 2-piece design is simple to assemble, and you can expand its 48" length a full 18" with the upgraded Extended Length. 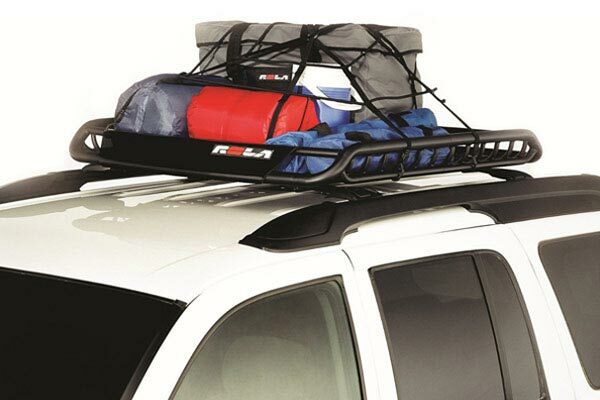 To top it off, your ROLA Cargo Basket includes a 5-year warranty. 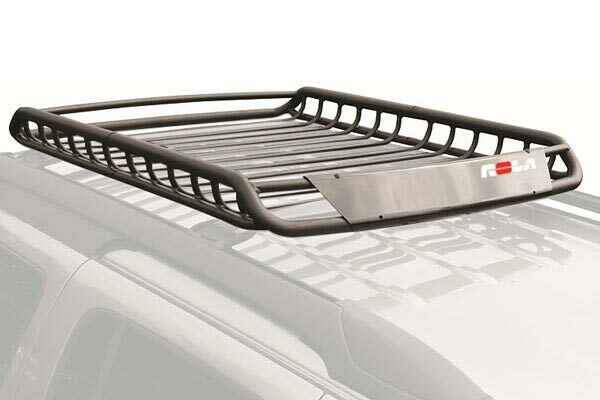 I love the way this rack look on the top of my Cherokee KL. Putting it together took some time but getting it up on the roof was all worth it and a quick install. This is a well built rack for the price, and infinitely extendable with the optional middle piece. It is sturdy and pretty easy to assemble. Does add some wind noise, but anything on the roof will do that. Everything was pretty easy installation wise. My only gripe would be that the brackets that secure the basket should be checked a little more thoroughly. QC definitely should take a look into this issue. I just ran a die over the threads and problem solved. But the average person would probably have stripped them. Overall I'm overwhelmingly satisfied. Looks great and the serviceability is 2nd to none. Reference # 756-906-814 © 2000-2019 AutoAnything, Inc.